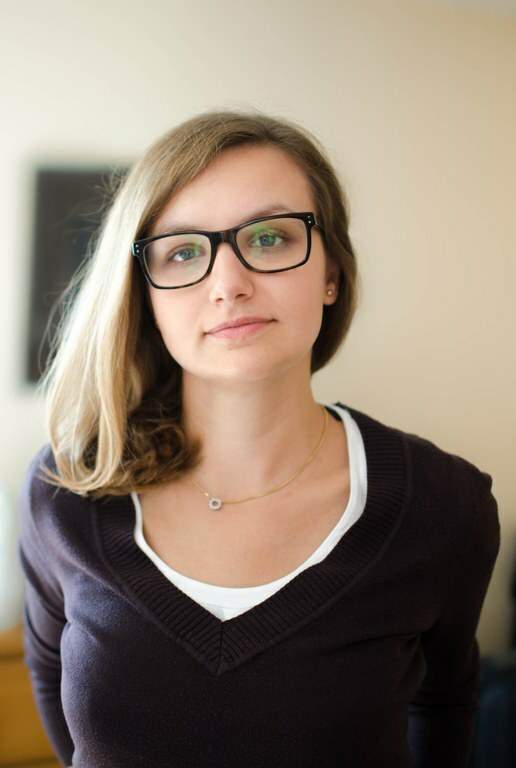 The prize for the Best Student Paper has been awarded to Katarzyna Balakier (UCL), an associated PhD student of the Centre for Doctoral Training (CDT) in Photonic Systems Development and a Marie Curie research fellow. Katarzyna won the awards in the competition for best student paper and research presentation given at the 2012 IEEE International Topical Meeting on Microwave Photonics held at the Space Research and Technology Centre of the European Space Agency (ESA/ESTEC) in the Netherlands in September (www.ieeemwp2012.org). Katarzyna is currently in the penultimate year of her PhD, which she is completing under the supervision of Dr Cyril Renaud, in the Photonics Group of UCL’s Department of Electronic and Electrical Engineering. The title of Katarzyna’s research conference paper was “Tuneable Monolithically Integrated Photonic THz Heterodyne System”. The work describes a system that allows generation of high purity heterodyne signals and is tuneable from 25 GHz to 1 THz. She demonstrated continuous frequency sweeps of 300MHz and tuneability between optical comb lines from 2 GHz to 6 GHz offset. Her research was carried out within the framework of the EU MITEPHO Initial Training Network and builds on EPSRC and European Commission funded research through the PORTRAIT, COTS and IPHOBAC projects.